Have you been thinking about getting your pantry more organised, but you're not sure where to start? Or do you feel like it's going to be a job that's just too big to undertake? Getting your pantry sorted won't be a massive undertaking if you've already got some good systems in place for how to store and organise your food. However, if the thought of tackling your pantry seems like a completely overwhelming and daunting job, know that you're not alone! My most recent client space makeover was a butler's pantry that took 4 hours to get sorted. But the end result was more than worth the effort! 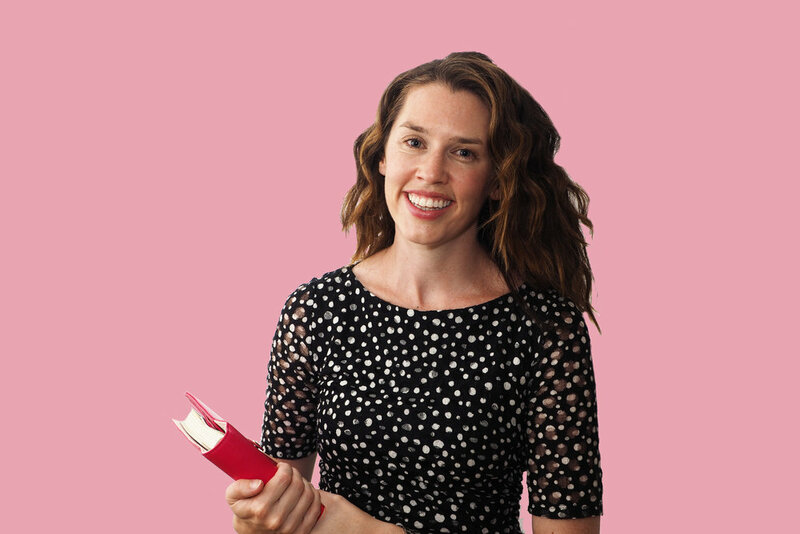 Today I'm walking you through the process, and giving you 7 sure-fire tips for getting your own pantry organised. You've totally got this! If you're sick of feeling overwhelmed, stressed or frustrated every time you open your pantry doors, you know it's time to actually do something about it. Your first step is to make this a priority in your schedule by setting aside a reasonable amount of time. This means physically marking it on your phone/calendar/diary/planner, and allocating a specific block of time to achieve your goal. For my client and I, we set aside a morning session of 3-4 hours to organise her butler's pantry - and it did take the full 4 hours! But it was a huge space. For most average-sized pantries, an hour or two should be a reasonable amount of time to set aside. Set a goal to try and do it faster than that, and you'll be more motivated to finish the job! Here's what we started with.... how does your space compare? 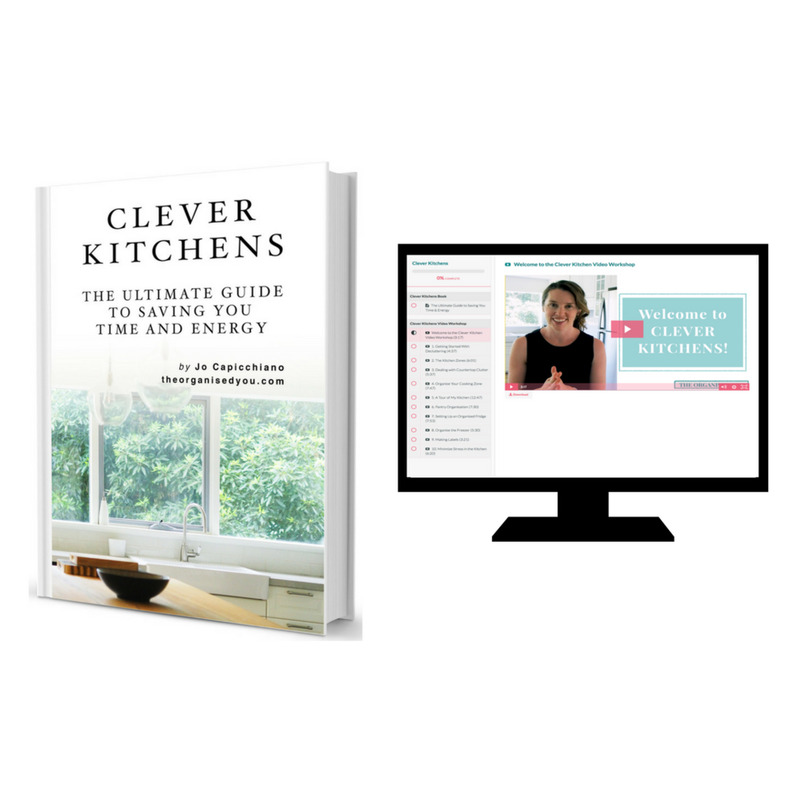 BONUS: Get your FREE guide to decluttering your pantry by clicking the button below... go on, what are you waiting for?! 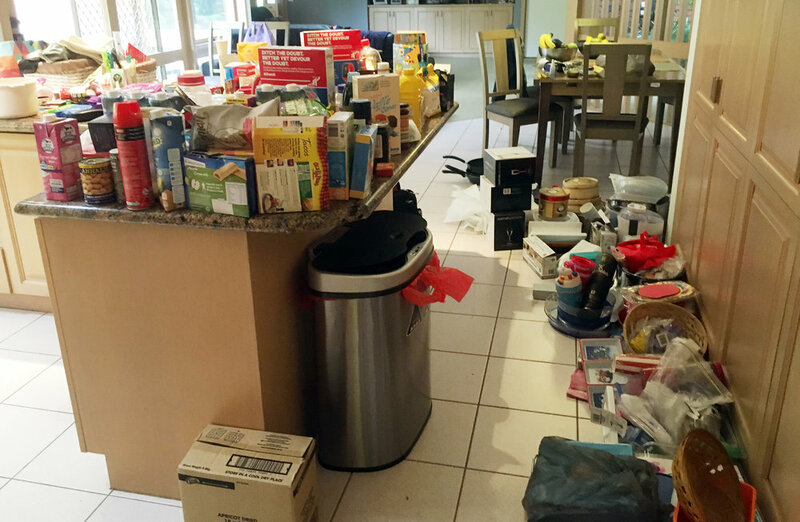 This step can be pretty confronting if your pantry is chockablock, but it is absolutely necessary to remove every item - including food, food items, and any accumulated rubbish - in order to do the best decluttering job. Having a completely blank slate makes you only want to put things back that you really use and need, rather than every little item. I promise! Having empty shelves is also a great opportunity to give everything a thorough wipe-down - I like to use natural cleaning sprays in a space that stores food (this video shows you how I make my favourite all-purpose spray). As you're removing all your pantry items, it's important that you sort it into 'like' categories, rather than just dumping everything in one big pile on the kitchen bench. Categorizing as you sort will make it easier to declutter in the next stage. It will also make it easier to put things back neatly in the pantry. We luckily had a nice big space at my client's house to spread everything out. We had food items on the right side of the bench, stationery and 'extras' on the left; on the floor we separated party supplies, cooking equipment; and to the left of this picture were lunch-boxes, food storage containers, shopping bags and paper supplies (i.e. toilet rolls, paper towels, tissues). You may or may not have as many categories as this in your own pantry, depending on size. If you're lacking space in your home to spread everything out, think of any way you could create a flat surface in the kitchen area i.e. ironing board, coffee table, kitchen table, benches... and the floor works fine too! 4 | Declutter, declutter, declutter! If you've got multiples of many items i.e. 3 bags of icing sugar, 4 packets of spaghetti - it's a sign that you can't easily see exactly what's in your pantry, so you'll need better storage solutions, or that you might need to plan your grocery shopping using a different method. An organised pantry will definitely save you money! With my client's space, we had 6 bags of rubbish, and 4 bags for donation. Not bad at all! Just like in a kitchen, organising your pantry into specific ‘zones’ helps keep food organised and reduces your meal-prep time as you know exactly where to find everything. In order to work out how you'll reorganise your pantry into zones that will work for you, you'll need to group like items into categories i.e. baking supplies, snacks, canned goods, oils & sauces, lunch items, breakfast items, side (pasta, rice, couscous), drinks, packets of food, entertaining supplies, spices etc. You may have already created these categories when you were sorting and decluttering, but if not, now is the time to get really specific. Now you've got your clear categories, you're going to designate an area within your pantry that would work best in order to create your zones i.e. entertaining; breakfast & lunch; snacks; baking. You want to be thinking about what would work best and make the most sense to you and your family. Now, you need to consider which items you use the most and need to be able to access easily. This will help you plan exactly how you’re going to arrange everything in your pantry in a logical order. You may even like to draw a quick diagram in your notepad. Those items used regularly i.e. cereals, snacks, spreads, should be kept at an easy level to reach and put back i.e. between your shoulders and knees, so you're not constantly having to reach up or bend down to get them. Heavier and less-used items, or pantry items bought in bulk, should be placed on lower shelves. Canisters of flour, bottles of cooking oil and common canned foods should be at waist level for minimal lifting. High shelves are best for things that are light, like sides. Having them in clear, airtight containers makes it easy to find what you're looking for, and easy to get down without risk of spilling. Entertaining supplies could also be kept at the top of the cupboard as they're not something you need to access a lot, but are light enough to move safely (especially if stored in a lightweight tub or basket). Consider getting a small stool or step ladder to make those items easier to get to. Stores spices in labelled, airtight tins or jars, and look for sturdy spice racks that can go on the back of a door, or in a shallow drawer or shelf near the stovetop to make them accessible when cooking. While entertaining supplies such as bowls, trays and utensils were placed on a higher shelf. Extra cooking equipment that wasn't used very often was placed on a higher shelf too. A small step ladder in this space made them easy to reach. To make everyday items easily accessible, consider using baskets, boxes or tubs that easily slide in and out. We placed lunch bags and snack containers in this lightweight, handled tub, while the shopping bags went in a large basket that could easily be slid in and out. Although it can be tempting to buy all new organising products when you're doing a makeover, it isn't always necessary! In a previous post, I rounded up the 28 best pantry organising products, and I definitely would recommend some of these for your pantry - particularly those that extend the freshness and life of food products. But it's also important to try and work with existing items you already have in your home, such as small baskets, boxes and tubs. 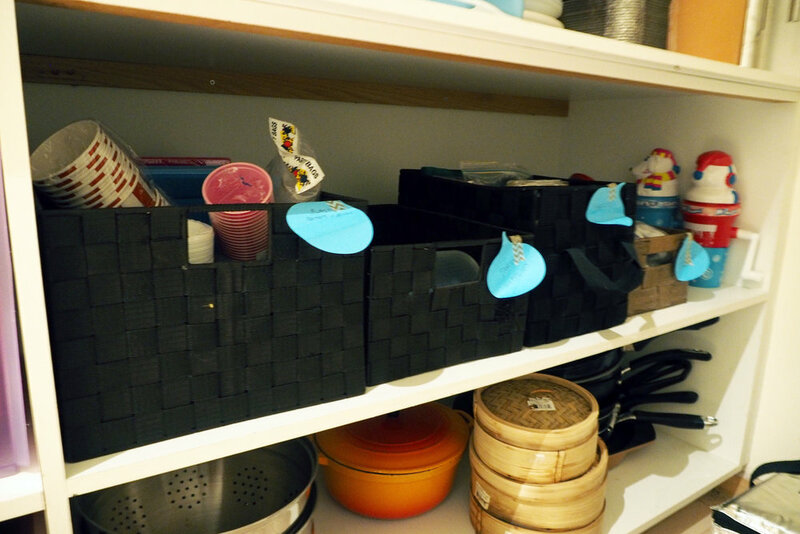 And 4 baskets for separating party supplies into cups and plates; plastic cutlery and straws; serviettes; and candles & sparklers (note the temporary sticky-note labels so we knew what belonged where during the sorting process). A simple step shelf was a great way to make different food items easy to see and access, while also creating an extra layer of storage. Slide out baskets (pictured bottom left) are useful for easy access - in this case they held aprons, tea towels and storage containers. If you're short on pantry space, consider utilising the back of the doors for extra storage - you could hang go-to tools, use it for spice storage, your shopping list, meal planner etc. You could even add an large wire rack (such as this one I used to create a gift wrapping station) and use it to hold cans, bottles, sides...anything really! It's all about thinking outside the box when you're short on space. BONUS POINTS... Get your label on! I always recommend labelling so that you can ensure every family member knows what belongs where. In a pantry as big as this one, labelling the actual pantry shelves would be beneficial as there are so many different categories. In a regular pantry, you should always label clear containers so you know what's what. Labels always makes things quick and easy to find - like I showed you in my own pantry. I am kind of label obsessed, but it really does help make life easier! 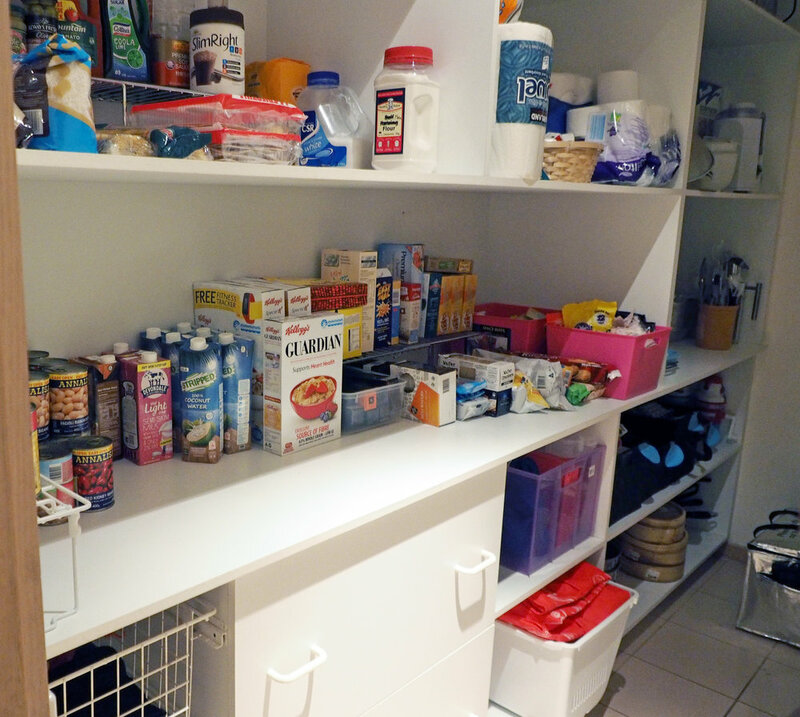 So here's a before and after of this pantry makeover... do you think you could achieve similar results? I think so! If you're up for the pantry declutter challenge, get your free guide by clicking on the button so you can follow the steps and get your pantry looking great too! Newer PostNow is the perfect time to start planning for Christmas! Older PostThe easiest way to get out the door stress-free and on time!